Elegant Cape Cod Revival on corner lot in historic tree-lined Monaco Pkwy. This stunning Montclair property features new interior paint, refinished original hardwood floors and crown molding throughout. 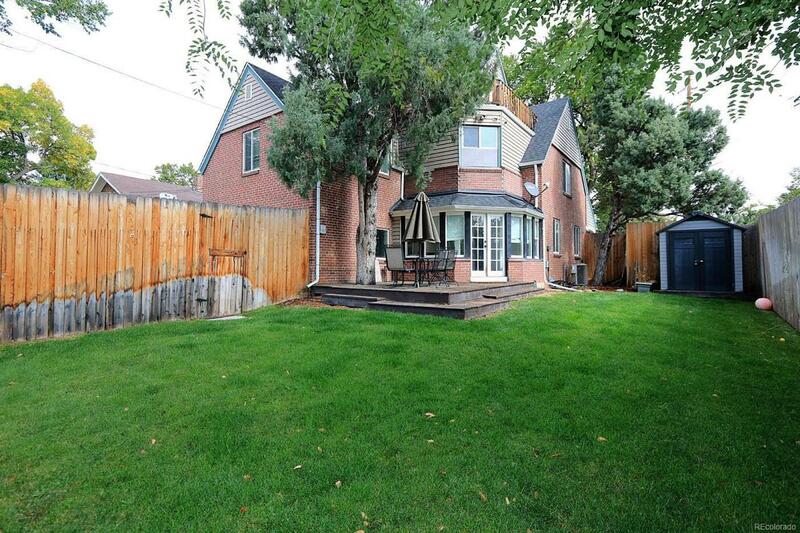 Formal living & dining rooms w/ wainscoting, gas fireplace, sun rm w/ exposed brick, and updated bath w/ slate floors. Gorgeous kitchen w/ stainless appliances, granite countertops, breakfast bar, and walk-in pantry. The upper level has 3 spacious bdrms w/ built-ins and walk-in closets, including the mstr suite w/ sound proof windows and private ensuite w/ travertine heated floors and huge shower w/ dual shower heads. Loft w/ built-in bench seating, exposed brick, wood burning stove, vaulted ceilings, wrap around balcony and amazing downtown views. Finished bsmt w/ family rm, gas fireplace, 4th bdrm and laundry rm. Large backyard w/ deck and 8 ft. privacy fence. Covered stamped concrete front patio. Quick commute to Downtown Denver. This is the perfect place to call home!